Backpacker Antonia Lekkis was planning to visit the historic cathedral during her whirlwind Paris tour this week. However, in light of the tragic fire, she now has several free hours to spend on other tourist sites. Maybe it’s not such a tragedy after all. Lekkis told The Tragic Traveller that while her travel mate was devastated by the news, she was looking on the bright side. 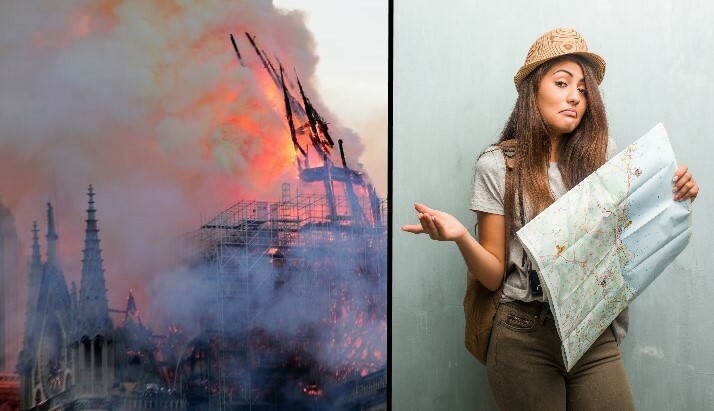 Just minutes after the cathedral’s tower collapsed, witnesses spotted Lekkis pumping her fist as her travel agent confirmed that yes, indeed, she could get a refund.